Ever stood in the produce section of the grocery store and wondered what you’re going to make for a side dish to your meal? As much as I love my Roasted Cauliflower, sweet potatoes, or Sriracha Lemon Roasted Brussels Sprouts, sometimes I feel like trying something a little different and forgoing my usual go-tos. So rewind to St. Patrick’s Day. 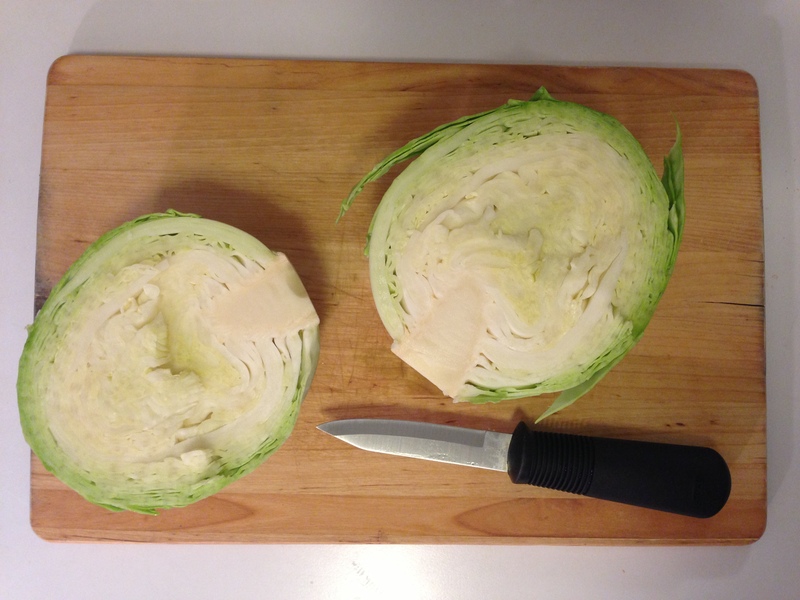 I placed a head of cabbage in my grocery basket and headed to the butcher’s counter. The butcher informed me that they were sold out of corned beef so I had to revise my plan. “Well, do you at least have Guinness?” the butcher asked. “Of course,” I laughed as I held up my near-empty basket. So it wasn’t a total loss. And while I could have put the cabbage back, I was determined to make the best of it. And I did. 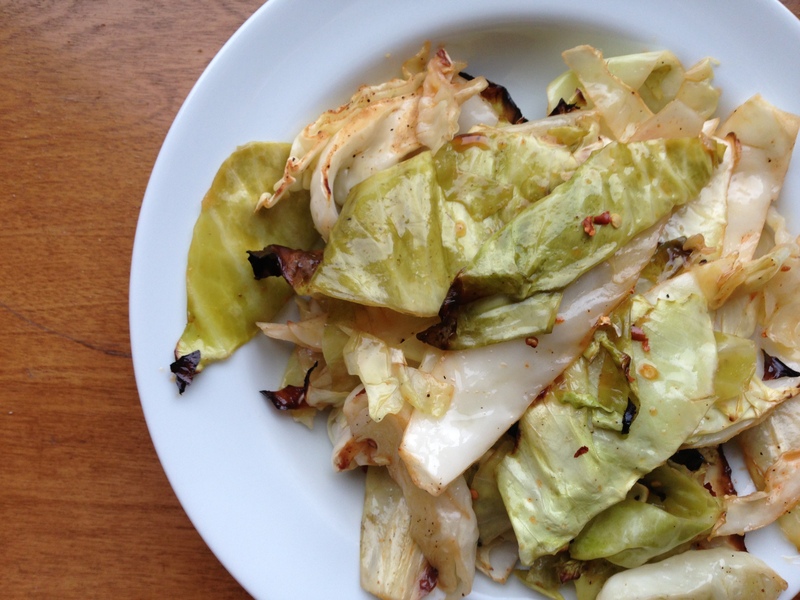 Turns out, my lonely cabbage pairs nicely with teriyaki-marinated steak or salmon. It’s a little bit tangy, a little crunchy and has a kick of heat from the Sriracha. 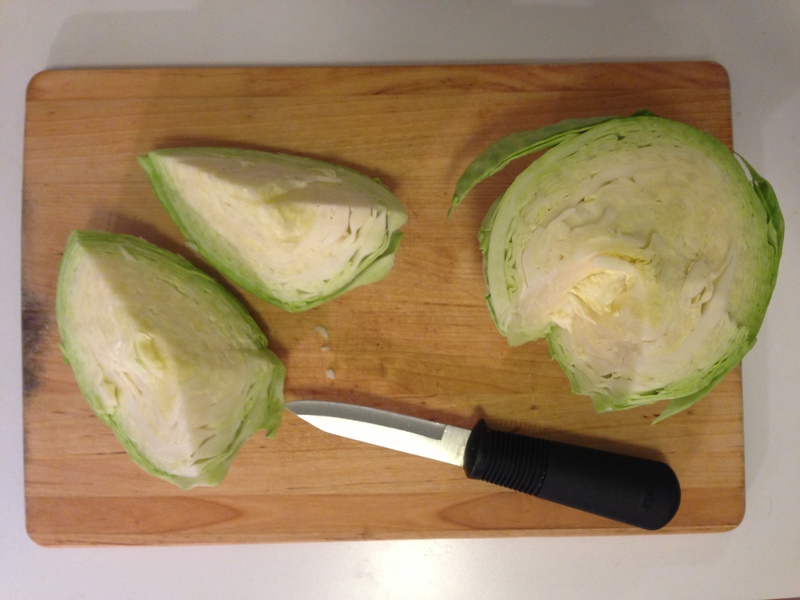 Begin by preheating your oven to 425 degrees F. Wash your cabbage under cold water and dry it with a paper towel. 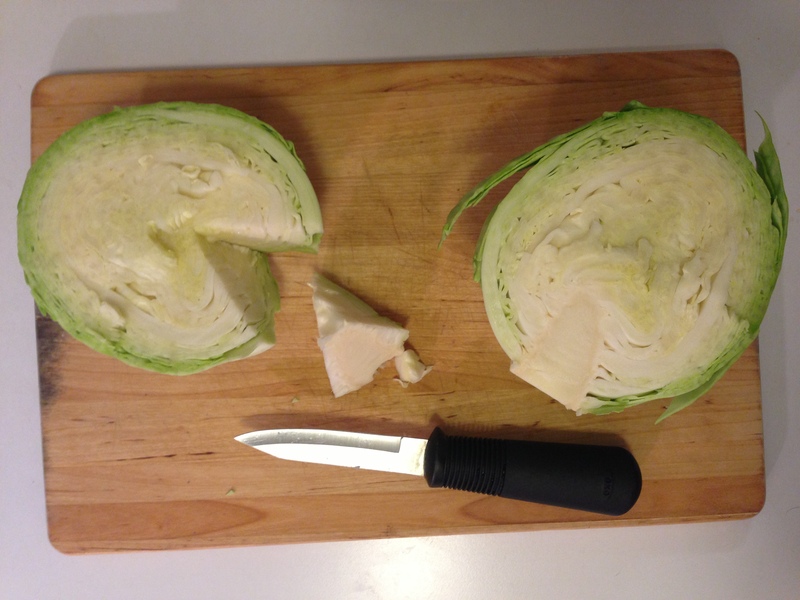 Now slice the head of cabbage in half. Remove the core as pictured below. After you’ve removed the core, cut each halve again so you’ve got quarters. You’ll cut these quarters in half once more so eventually you’ll end up with small wedges. 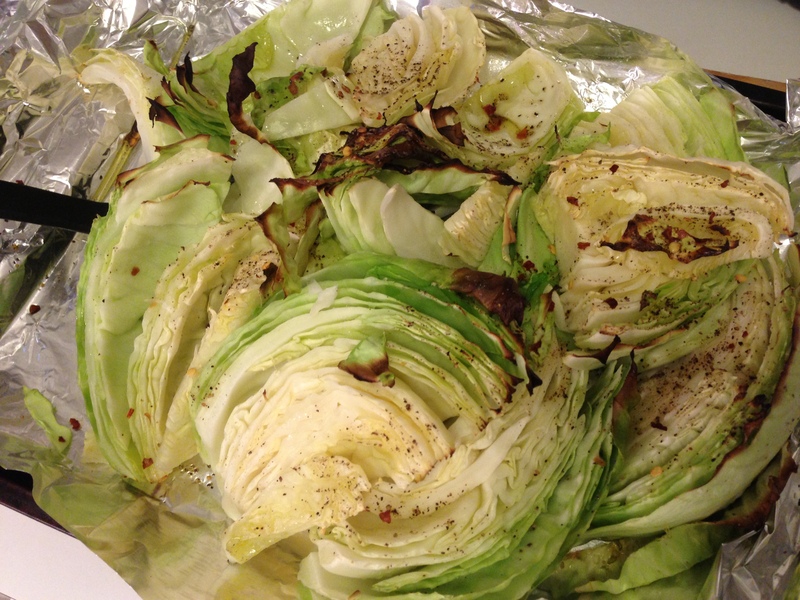 Place the cabbage on an aluminum foil-lined sheet tray. 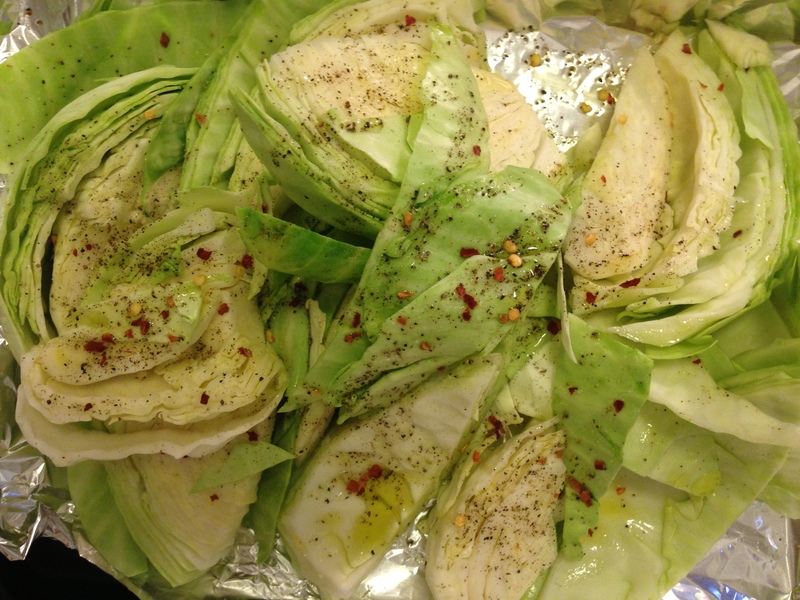 Drizzle the olive oil over the cabbage and sprinkle the salt, pepper and crushed red pepper flakes on the cabbage. 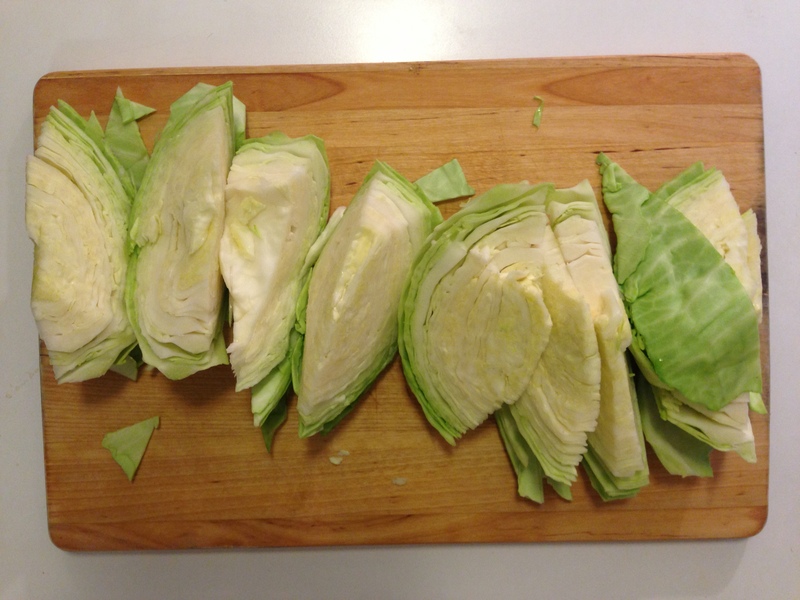 Place the cabbage in the oven for 25 minutes. 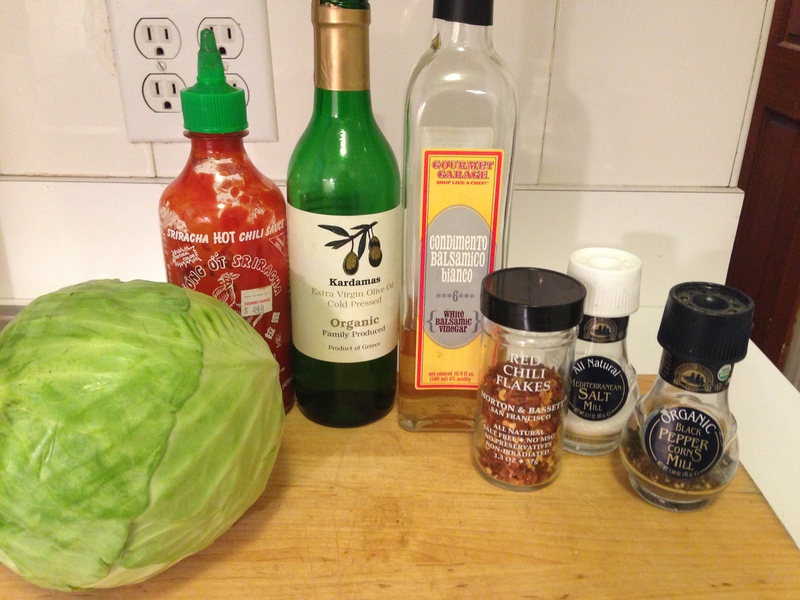 Meanwhile, whisk together your Sriracha and white balsamic vinegar. 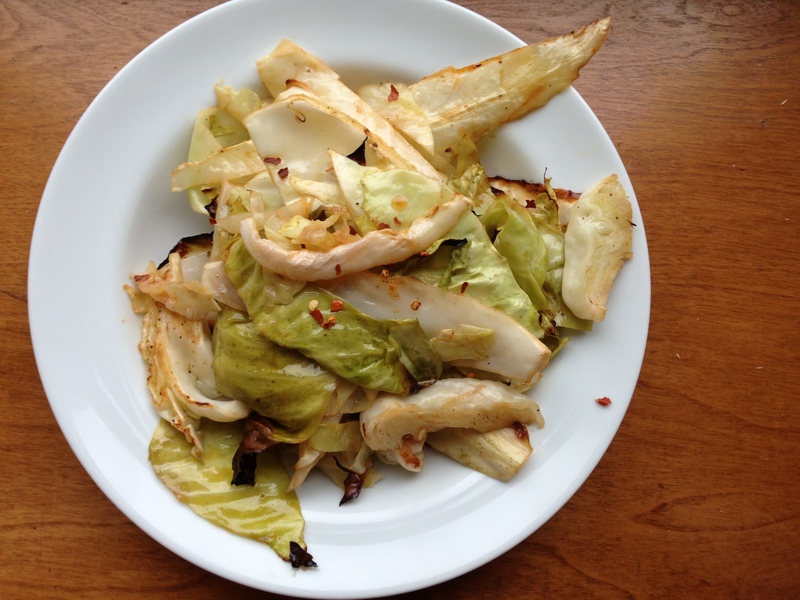 After 25 minutes of roasting, briefly remove the cabbage from the oven, toss it in the Sriracha and vinegar dressing and return it to the oven to finish cooking for another 20 minutes. 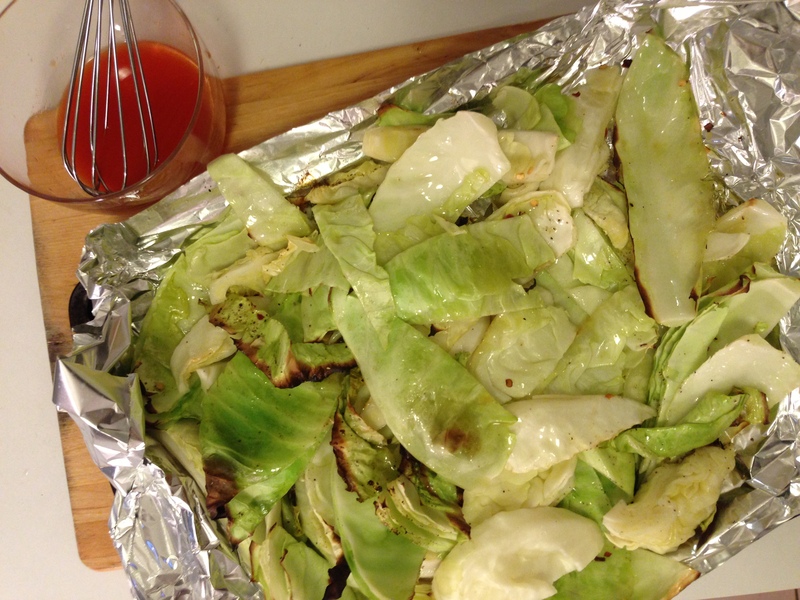 If your cabbage starts to burn slightly, fold over your tin foil to protect it. Toss the cabbage as it continues to cook. Serve hot alongside the main of your choice. And bonus? 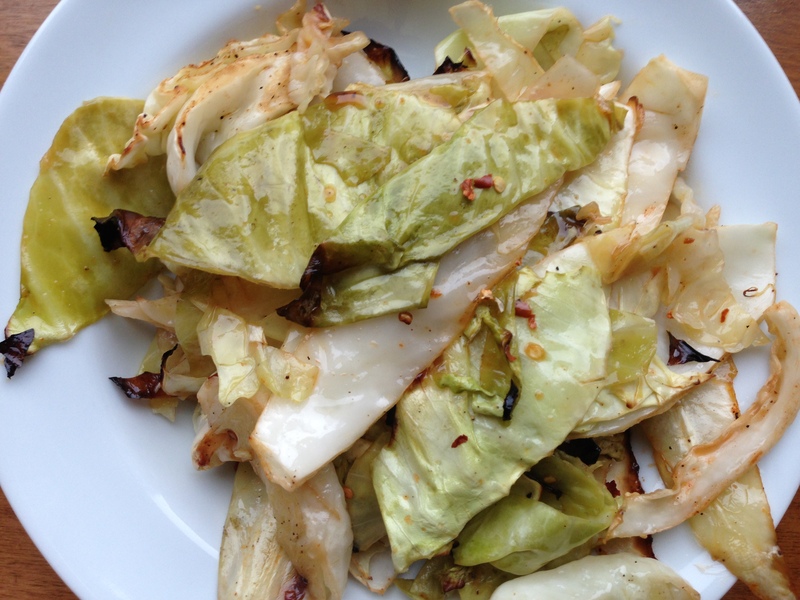 Cabbage is uber healthy so get your green on. Fieldhouse Fun Fact: I ended up making Irish stew in lieu of corned beef and cabbage on St. Patrick’s Day. And the Guinness? Well, I added some of it to the stew.